Times tables are so important for children to learn by heart. 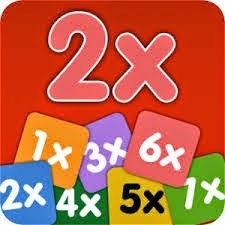 They help children to solve multiplication and division problems quickly. When children know their times tables well, they can solve word problems quickly. All children should be able to count in multiples of a given number and answer any tables questions by 5th/6th class. Here is a times tables powerpoint which includes the times tables in order, multiples for each table, each table mixed questions and a knock out challenge.